We are approaching the woodworking fair in Germany. 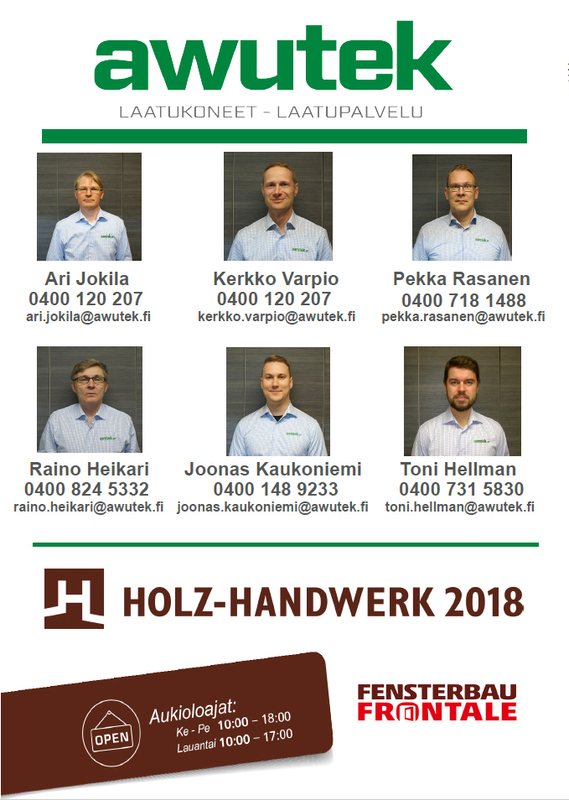 The combined fair HOLZ-HANDWERK and FENSTERBAU held in Nuremberg has grown into one of the most important fairs in its field. In 2016 the fair attracted more than one hundred thousand visitors and the amount of exhibitors has grown to almost five hundred. The fair will gather key suppliers and dealers across Europe to introduce new machines and solutions. At the fair, you will meet leading experts and manufacturers in the industry, regardless of the different working methods. According to traditions, Awutek Oy will be actively involved in the fair. Come and visit the fair to find out the current trends and key topics among professionals in the field. Contact us if you are interested in the latest innovations and solutions in the industry!